Literary Rambles: So Many Giveaways! You girls are fabulous! Thanks for the opportunity to win. Thnaks for the giveaway! The WriteonCon is surely Epic. I can't wait for 2011 and to start. You ladies are amazing! (Oh, and I did donate. Anything to share my gratitude and keep this awesomeness going!) Thank you! Thank you! Thank you! Thanks for the great opportunities, Casey - you guys are all soooooo generous! I tweeted, facebooked, and donated. Wow, I am amazed by all the work you and the other ladies have put and continue to put into such a great endeavor. What a great opportunity! I'll keep my fingers crossed! Yay! Cool and thanks for the contest! I remain completely in awe of how amazing and truly generous you are, Casey! Thanks for doing all this! Wow you gals are just full of epicness! Thanks! count me in! (donated this morning). Yeah! Free books. I tweeted. I would LOVE to win these! Thank you so much! I'd love to win. I donated. Thanks for all the giveaways. Don't feel bad about asking us to donate. We're glad to help. Thank you so much for this great giveaway! Both of these books are on my TBR list. Oooh, I can hardly wait to read Nancy Werlin's next book.I love her stuff. Thanks so much for the extra giveaways! I donated. Here's my email adddress: lauraisthedarkside[at]hotmail[dot]com. Awesome job, Casey. Not to mention that I am a BIG fan of your blog. I have tweeted this and wrote about it and the whole WriteOnCon giveaways on my blog at www.nikischoenfeldt.blogspot.com. I want to read EXTRAORDINARY!! It sounds go awesome! If i'm selected to win WILLGRAYSON WILLGRAYSON, I'll donate it to your library! Thanks for hosting this contest Casey! Thanks for the contest! I donated under my maiden name (Elizabeth Adams). This is absolutelly and totally epic, awesome and I just can't find my words. You guys rock! Thanks for everything you are doing! Really. This is awesome! I love Literary Rambles! 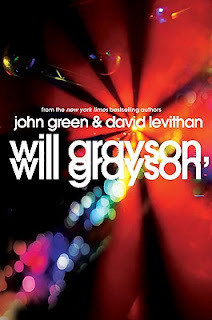 I loved Will Grayson, Will Grayson and I am dying to read Extraordinary. 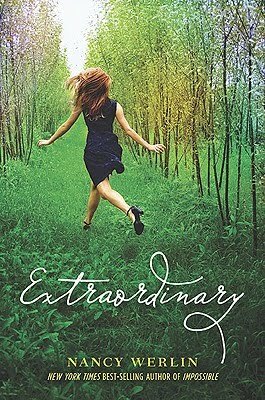 Oh, I would so dearly love to read Extraordinary! I love Nancy Werlin! The Killer's Cousin was fabulous! I donated, so please put me down for 10 entries. You ROCK! And I totally don't think it's bad or wrong that you ask for donations. Are you kidding? Like I said, you guys rock. I donated, and commented. I'll come back in a bit with FB and Twitter! I don't know how to tell all you ladies how blown away I am by all the epic epicness of WriteOn. I donated this morning, and I'll tweet in a few minutes. You guys are just amazing!! I donated to writeoncon...thanks! There's way too much awesomeness in one space! My brain is going to explode! I donated via PayPal under hubby's name (Dave Angst). Yes, Yes, I did it all!! I really would love a book! These contests are so great! I also posted on FB the link. Thanks so much, Casey! I tweeted & donated! I can be reached at claire (at) clairecaterer (dot) com. WriteOnCon was so much fun, so good luck to you guys in the future!! And I'll do my best to gather my pennies so I can help donate. I'm a huge John Green fan, thanks for the giveaway. I continue to be amazed by what you fabulous ladies are doing for the writing community. And I know it makes y'all feel icky to ask for donations, but I am glad to be able to contribute in some small way. I would love to win these! They both look so awesome! Me, oh my, I'd love either of these, & I shared on my Facebook about why. I'm not able to donate right now, and I'm not a tweeter yet, but I wish you & the Con-tras the best in fighting the 403! Thanks for the awesome giveaway, hope I get these great books. Wow ladies two great books. What a terrific way for author to be in touch with other authors. Writeoncon rocks! Thank you for the giveaway! I'm super excited for Extraordinary! Gooo WriterCon! Awesome awesome job with writeoncon. I loved it! Loved Writeoncon! It was amazing. The least I could was donate. Okay, the contest is closed. Thank you for entering everyone! I'm going to use random.org to select the winners now.